Most people nowadays tend to go for carrier-subsidized deal on smartphones. It just seems logical since you are already paying for a subscription to a certain company and most people would prefer spacing out such a huge expense. This is definitely applicable for iPhones, especially in the US, which is why Apple has carrier plans listed as a first choice on its website. Recently, however, the AT&T subscription plan has undergone some changes. 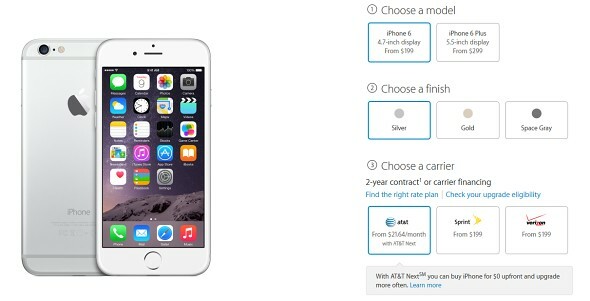 The iPhone 6 now comes with an AT&T Next subscription, instead of a two year contract. If you haven’t heard of the payment plan, it is essentially getting a phone on credit. AT&T subsidizes the purchase and offers you to pay it back over 12, 18 or 14 months. At the same time, you are not bound to any carrier and can switch providers at will. This means that the AT&T unit is essentially SIM Free, but, as expected, interest does ramp up the overall price. The phone starts at $21.64 per month for a 16GB model and goes up to $24.97 and $28.30 for the 64GB and 128GB version, respectively. 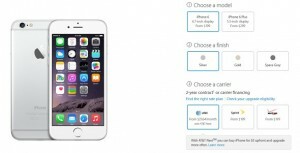 The iPhone 6 Plus comes with a similar deal at $24.97, $28.30 and $31.64. The figures do go up if you opt for a longer payment period. The new AT&T offer is already live at apple.com and should also apply at brick and mortar stores.